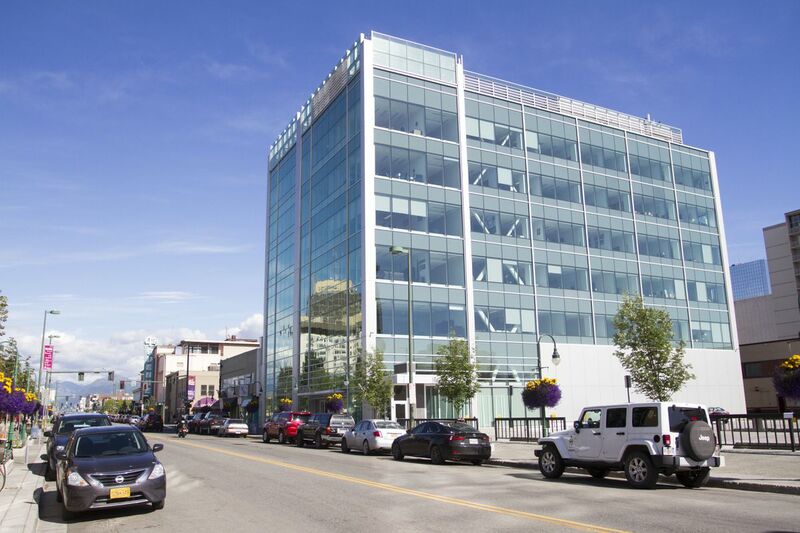 A Florida-based bank has launched foreclosure proceedings against the developers of the renovated downtown Anchorage office building abandoned by the Alaska Legislature. Everbank, which says it loaned the developers $28.6 million for the renovations, filed its complaint April 28 in Anchorage Superior Court. Everbank, through Anchorage attorney Robert Hume, is asking for a judgment against the company owned by developers Mark Pfeffer and Bob Acree, which owes the bank $28.8 million in principal, interest and other charges, according to the complaint. The bank is asking for a foreclosure sale of the building, on Fourth Avenue, with the proceeds applied toward the developers' debt. A spokeswoman for the developers, Amy Slinker, didn't respond to requests for comment. Pfeffer, the managing member of the developers' company, 716 West Fourth Avenue LLC, didn't immediately respond to a phone message Monday. Alaska lawmakers moved out of the downtown building late last year after Anchorage Superior Court Judge Patrick McKay declared their 10-year lease illegal and invalid, saying it wasn't a true lease extension as required by state procurement law. The developers have filed a separate, $37 million damages claim that was rejected by a legislative committee, which the developers subsequently appealed to Anchorage Superior Court. The foreclosure complaint from Everbank asks to have the damages claim declared as collateral for the money owed by the developers to the bank. Oral arguments in the developers' case against the Legislature are set for later this month. Meanwhile, lawmakers have moved into a building in Spenard that they purchased from Wells Fargo, where they recently approved a $3.5 million renovation project. With the exception of the damages claim, lawmakers are no longer involved with the downtown building, said Kodiak Republican Sen. Gary Stevens, who led efforts to move during his two-year term as chair of the Legislative Council — the bipartisan House-Senate committee charged with handling the Legislature's own budget. "I'm really sorry for the developer because he did a beautiful job with the building. But it wasn't right for us," Stevens said. "It was simply too expensive." The downtown building — across Fourth Avenue from a pair of bars — appears to be vacant. But it's well-lit and clean and doesn't seem to be causing any problems, said Assemblyman Christopher Constant, who represents downtown Anchorage. Nonetheless, he called the foreclosure "a bummer." "It definitely helps to paint the picture of a downtown that's in need of new vision," he said. 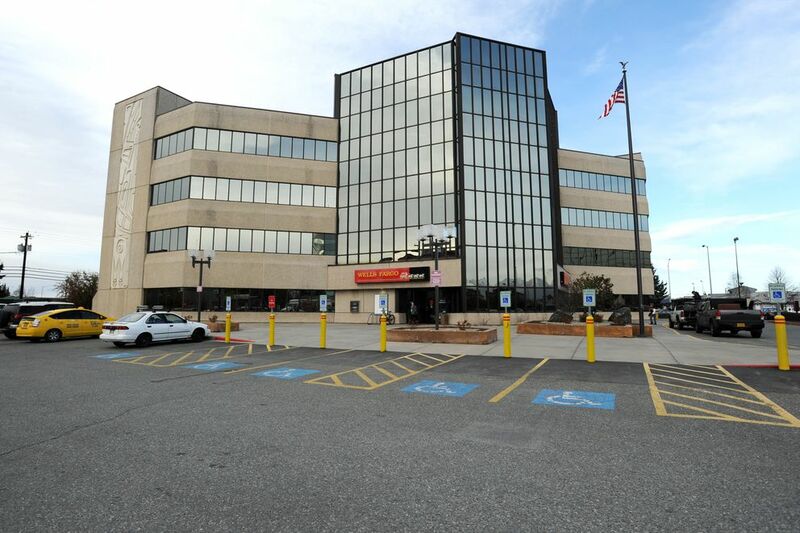 A spokesman for Mayor Ethan Berkowitz, Myer Hutchinson, said Berkowitz didn't have any ideas about what should become of the building.